Action: Choose and ready a sentinel character. Valour Action: Ready all sentinel characters. 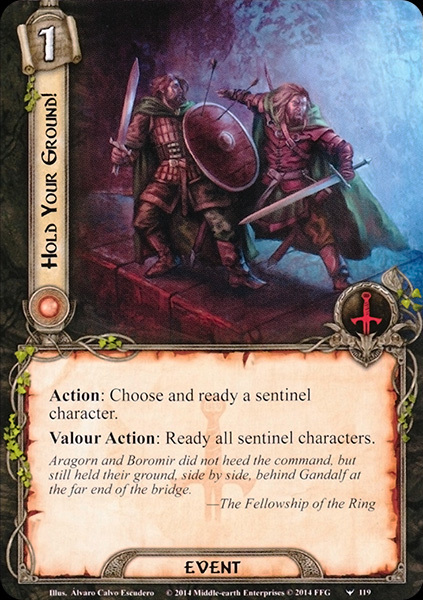 Aragorn and Boromir did not heed the command, but still held their ground, side by side, behind Gandalf at the far end of the bridge.